See our current stock below or call us as we may be able to source a specific machine type for you. All boom lifts and telescopic platforms are LOLER certified with full history. If you can’t see what you’re looking for, CALL US as we have more machines in stock which are being prepared for sale. Click here to see our range of new machines. 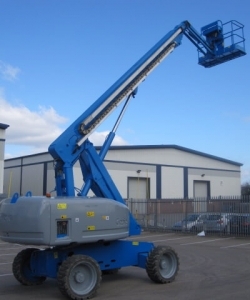 The Genie S65 is the tool of choice of many who are needing a quick, reliable and well built machine that offers a working height of 21.80m and a horizontal reach of 17.10m.